If you often visit downtown Montreal, you’ll notice that there are cranes everywhere. From dozens of new highrise residential towers to new office towers, it’s no secret that downtown Montreal is experiencing a huge boom. In 2011, the population was 100,000 and by 2016, estimated at roughly 120,000. And according to the downtown strategy in place, by 2030 the population is expected to be at 150,000, with the main goal of achieving 200,000 by 2050. When it comes to daytime population, the last stats recorded in 2011 estimated downtown to have a daytime population of 720,000 a day. To put that in perspective, the daytime population is larger than the city of Denver, Boston, Detroit, Nashville and Miami (city boundaries only). In 2019, we can estimate that the daytime population is closer to 800,000+ when factoring in new jobs, residents, tourists and students. So the main question is, why are people moving back to downtown Montreal? As Montrealers know, our downtown in the 1960s had about 166,000 people but due to people fleeing to the suburbs or to Ontario, downtown reached an all-time low of 84,000 by the 90s. In the mid-2000s there were a few notable developments, such as the CGI buildings (two office towers) and Cité du Multimédia, but very few residential towers. This changed dramatically around 2010 when we saw a few residential highrises under construction, such as Altitude (124M condo tower) or Courtyard Marriott hotels/apartments (138M). This further accelerated in 2012/13 with the announcement of Quad Windsor and the Bell Centre cluster, followed by Griffintown booming and becoming a new neighbourhood within downtown. The population boom was astronomical, Griffintown grew 642% from 2011-2016, the Bell Centre cluster housed 2,500 residents with more units being delivered soon and more jobs relocated back or set up shop in downtown. 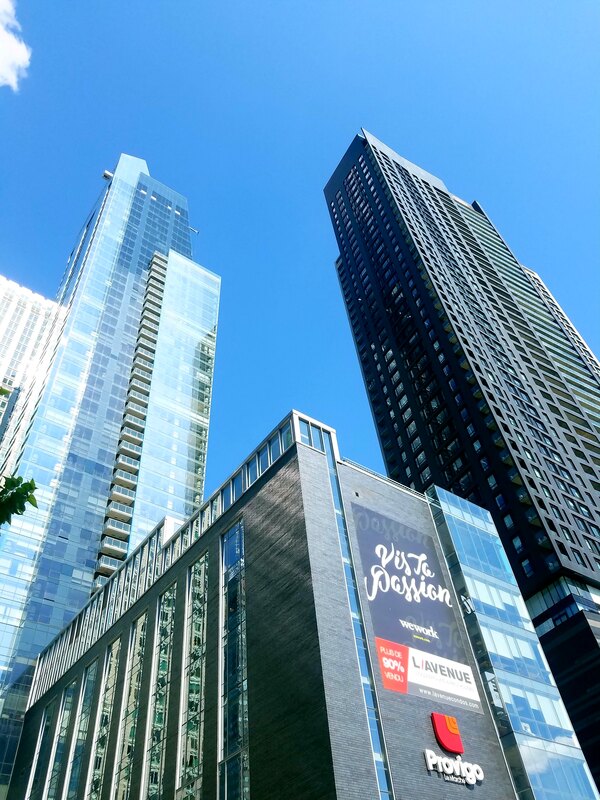 The trend continued to grow at a faster rate in Q3 2017 and is still continuing with more hotels under construction, nearly two million square feet of office space under construction in the downtown area and record-breaking condo towers such as Victoria Sur Le Parc, Maestria, Tour des Canadiens 2 & 3 and soon the Square Phillips project. So why are people coming back to downtown in droves? 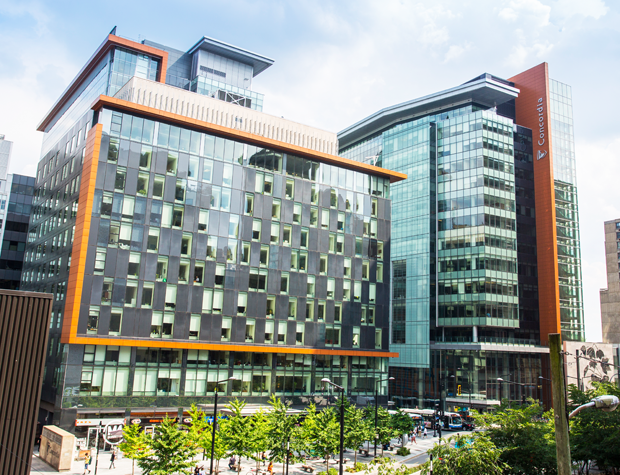 Downtown Montreal is home to many world-class universities and higher education schools such as McGill, Concordia, ETS is in close proximity to UdeM and Dawson so name a few. In addition to this, HEC (French business school) is going to build a new expansion downtown. We’re talking nearly 100,000+ higher education students coming to downtown daily, which is much more than other major cities on the continent. Furthermore, International students in Montreal has increased by 60% in the past 5 years according to a study conducted by Altus Group. Most students decide to rent out apartments in downtown either old stock or new stock, which is a contributing factor to more population, more units U/C and a healthy vacancy rate. 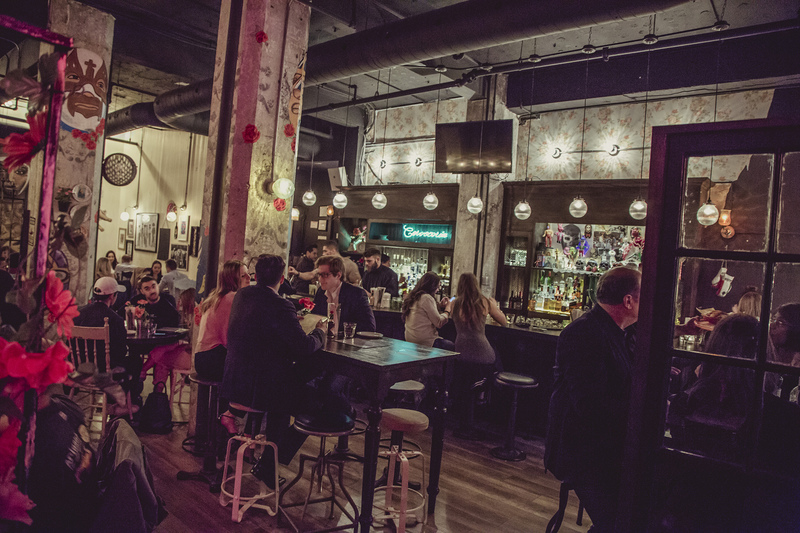 It’s no secret that Montreal has one of the best nightlife scenes in the entire world. In lists from CNN or other websites and opinion polls, Montreal always comes out in the top 10 cities worldwide. Downtown Montreal has plenty of party streets, from Bishop to Crescent, to some parts of St. Catherine to the best spots in town, St. Denis and St. Laurent, downtown has it all. Want to go to a rave? hit up New City Gas and rave with 5,000 other people. Want to hit up a few bars? You can go to Crescent street and hit up Brutopia, Madhatters, Hurley’s or Thursdays. Want a night to remember? hit up St. Denis in the Quartier Latin, Rue Ontario and make your way to St. Laurent. Want to headbang and be with metalheads? hit up Foufs, Katacombs or Piranha Bar. Montreal is known as the city of festivals and rightfully so. From having the largest festivals in Canada to having the largest in the world, we have it all. Montreal is also lucky to have a neighbourhood like the Quartier des Spectacles, a dynamic entertainment district with 40 performance halls/bars, 40 exhibition places, 40+ festivals, 100+ shows a month, light projections on buildings and it has the highest concentration of culture/events than any other place in North America. In addition to this, having a great public transit system means we are connected to Jean Drapeau island, where you have Canada’s largest metal fest with Heavy Montreal, Canada’s largest EDM fest IleSoniq and a festival that attracts hundreds of thousands of people yearly, Osheaga which is known as “Canada’s Coachella”. Back in the downtown core, you have festivals such as the Jazz Festival (world’s largest) Just for Laughs (also the world’s largest), Francos de Montreal, Nuits D’Afrique (considered one of the worlds largest African music festivals) and Nuit Blanche (world’s largest winter festival with 300k+ attending). The crazy thing is we haven’t scratched the surface with the concerts and festivals since Montreal has about 150+ large scale fests and that number doubles when you include smaller fests. Great public transit, high-density areas with services and having everything around you makes for a great urban living. Montreal is one of the densest cities in North America, so it isn’t surprising that everything is at the palm of your hand. Want to go to Mont Royal? it’s just a 15-20 minute walk. Want to hit up LaRonde or go to Jean Drapeau island? that’s just a few metro stops away. Want to hit up a bar or restaurant? you just have to walk a block or so. Want to hit up Chinatown or Koreatown? again, just a close walk or a few metro stops away. In addition to this, new grocery shops, markets and clinics have opened up in the past few years, making life much easier for everyone downtown. Again, it’s no secret that Montreal is considered to be a foodies paradise and one of the best food cities in the world. From smoked meat to foie gras, to Italian, Greek, Korean, Chinese, Latin foods and so on, it has it all. Montreal is a very diverse place with nearly 200 ethnic groups in the city, so it comes to no surprise that the food scene here is very diverse. Montrealers love food so much that we have the most restaurants per capita outside of New York City as well. I also love the diversity of the restaurant’s price wise, you have your hole in the walls, casual places and high-end places as well, so there’s something for everyone. From Europa to Il Focolaio, to Escondite, to all the amazing places in Koreatown (St. Catherine street form Atwater to Guy) such as Kazu, Seoul Chako, Ichifuku, Kinka Izakaya and so much more. Downtown Montreal is on a huge upswing and it will continue to grow for many years to come. From new restaurants and the entertainment offerings to new parks being created and a new light rail under construction, this will lead to more investment and people moving downtown. Downtown is one of the most active spots in North America and it will continue to flourish and we get to experience this with our own eyes. Next Before and after: looking at former projects in Montreal.